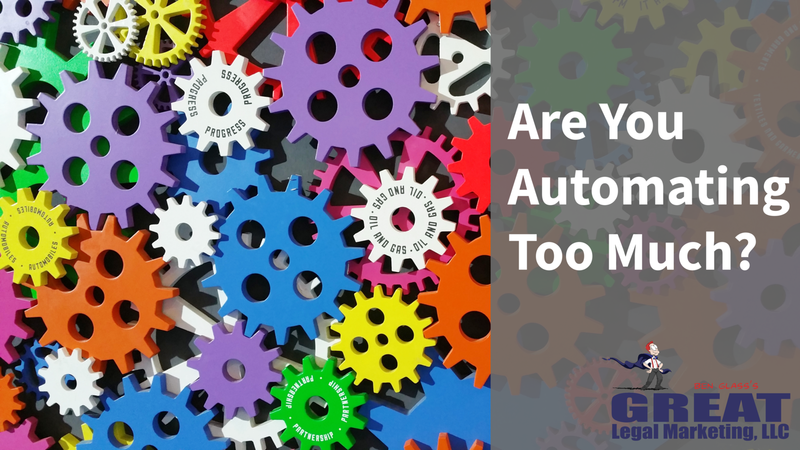 Are You Automating Too Much? The hot topic for small and medium-sized businesses in the last ten years has been automation. There are pre-made systems for everything, from processing contracts to ordering your coffee. However, at some point, you have to say "enough is enough." Automation is great for repetitive tasks. For example, sending out a sequence of follow-up emails to clients after they complete a contact form. This process worth the price of automation because it frees up countless hours of time for yourself and your support staff. However, as technology advances, more and more tools appear that help us automate many different tasks, including those that should never be automated in the first place. I want to talk about some office process that you should NOT automate, and why these tasks still require manual labor. Developing friendly, personal relationships with clients is essential, and it enhances our customer service. It is hard to automate a "personal touch," because there are so many factors to consider for each client. What are their injuries? Do they have a family? Are they working? What is the status of their case? You need to consider all these points before writing a heartfelt note to a client. You could try to automate this process by inputting all this data into a CRM, creating merge fields, and setting a time to send this email out. However, creating a process for getting this data into a CRM will be challenging. Additionally, if your system for entering this information into your CRM fails, your CRM will be sending the customer a bland, robotic email to clients who are valuable to you. Instead, have your support staff write this type of note to a client. Better yet, you can have them call your client for a "check in" periodically through their case. A call will give them a better experience, and it will avoid embarrassing failures when your system does not work as expected. We automate to save time, and we automate for accuracy. For simple tasks, a system can give us both those benefits with only a tiny chance of failure. The more complex the work, the more likely our system will fail and cause damage to our client relationship. If you are a tech company with a large team of experienced program developers, creating automation for a complex task is relatively easy. If you are a small business, building automation for complex tasks may take more time and energy than it is worth. If the task is critical to your business, then it may be better to "play it safe" and do it manually. You should remember that automation is supposed to handle the simple tasks to free up our time to do more challenging work of higher importance. You may want to reconsider if you are automating at this level. Some office tasks require you to work in several programs simultaneously. To make these operations more streamlined, you can purchase a prebuilt API to connect these applications, allowing you to work in one program while the rest are updated accordingly. Sounds great doesn't it? Unfortunately, there is a downside. When you link multiple programs together, you increase the chances that one of those links will fail. Very quickly you find yourself spending more time maintaining the API than actually getting work done. If you are in this scenario, it may be time to reevaluate the whole process. You should decide if linking so many programs is necessary, and if it would suffice to do the work in one application. One solution is to hire a developer to write you a custom API. It will be expensive, but it may save you time and money in the long run. If you are new to automation, start with something simple. For example, automate an email follow-up sequence for potential clients. Once that process is operating smoothly, automate another small task in your office. Continue this process until most of the low-level work is automated, freeing up your staff's time to work on more important things. As technology improves, many processes will become automated. Embrace the advances that come along, but don't forget that some things are better solved by people than programs. 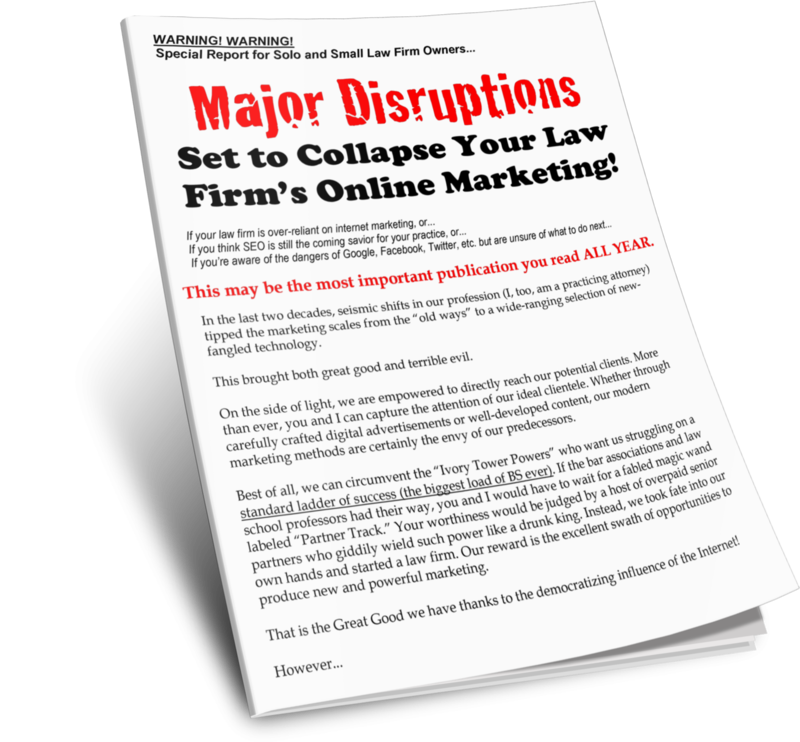 Tifiny Swedensky is the Online Marketing Manager and data analysis expert at Great Legal Marketing.